Ravipha Residences provides modern and homely studios with private balconies and kitchenettes within a short drive of convenience stores and shopping malls. It has an outdoor pool, a fitness centre and free Wi-Fi in the entire property. 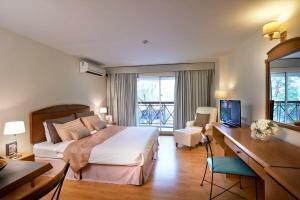 The residence is a 15-minute drive from the Central Ladprao Shopping Mall and 20 minutes from Donmueng Domestic Airport. Suvarnabhumi Airport is an hour’s drive away. 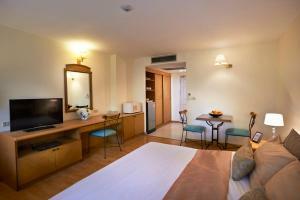 All units are fully air conditioned and feature en suite bathrooms with a bathtub and free toiletries. They also have a seating area, a flat-screen TV and a safe. The kitchenette features a microwave, a fridge and tea/coffee making facilities. Guests can make use of the meeting rooms and enjoy a workout and aerobic sessions at the fitness centre. Residences Ravipha also provides free private parking on site. 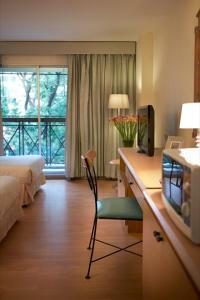 All units are fully air conditioned and feature en suite bathrooms with a bathtub and free toiletries. They also have a seating area, a flat-screen TV and a safe. The kitchenette features a microwave, a fridge and tea/coffee making facilities. Please note that this room type has no capacity to accommodate extra beds. 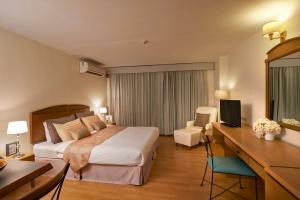 Rate: THB 900.00 ... THB 1290.00; select dates below to get current rates. This twin room features a microwave, air conditioning and sofa. 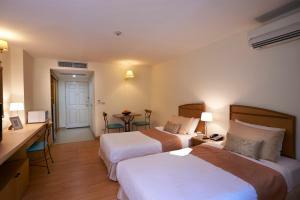 Rate: THB 900.00; select dates below to get current rates.